To establish associations of miRNAs with their target genes, the binding characteristics of miRNAs with mRNAs of candidate genes of various subtypes of breast cancer have been determined. The binding characteristics of miRNAs with mRNAs in 5’UTR, CDS and 3’UTR were found using the MirTarget program. Of the 600 genes involved in the development of breast cancer, 33 genes specific for the triple negative subtype, 16 genes specific for the luminal A, B subtype and 28 genes specific for the her2 subtype. For the triple negative subtype of breast cancer, CBL, DRAM1, FGFR2, LAMC1, MMP2, NTRK2, PFN1, PTGS2, PRRT2, RAB5A genes can be characterized as candidate target genes for miRNAs which binding sites are located in the 5’UTR. Candidate genes for binding miRNAs in the CDS are JHDM1D, RUNX1 and in the 3’UTR – RUNX1. In the luminal A,B subtype of breast cancer, candidate genes for binding miRNAs in the 5’UTR are FOXA1, GTF2IRD1, HMGA2, ITGA6, MAPT, SMAD3, TGFB1. Candidate genes for binding miRNAs in the CDS are FOXA1, ITGB1, SOX4 and in the 3’UTR – SMAD3, TGFB1. For the her2 subtype of breast cancer, candidate genes for binding miRNAs in the 5’UTR are A4GALT, EPOR, MAZ, NISCH and RAD21. Candidate genes for miRNA binding in the CDS are EPOR, MAPK3, MAZ, NHS, RYR1 and in the 3’UTR – H2AFX. Based on the obtained characteristics of miRNA interaction with mRNA of candidate genes, associations of miRNA with mRNA have been proposed for use in the diagnosis of breast cancer subtypes. AISINA, D. E. et al. Characteristics of interaction of miRNA with mRNA of breast cancer candidate genes. International Journal of Biology and Chemistry, [S.l. ], v. 11, n. 1, p. 18-32, aug. 2018. ISSN 2409-370X. Available at: <http://ijbch.kaznu.kz/index.php/kaznu/article/view/310>. Date accessed: 24 apr. 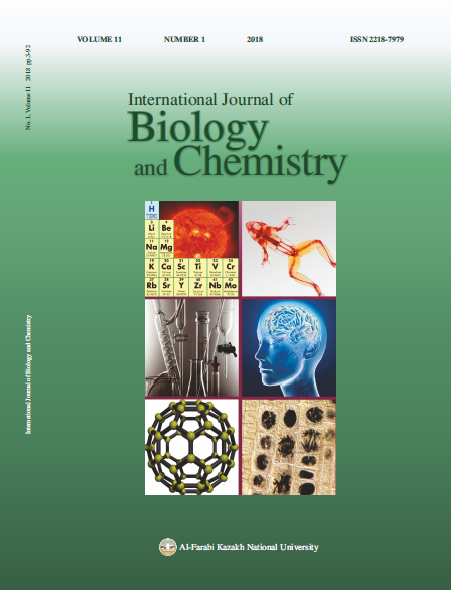 2019. doi: https://doi.org/10.26577/ijbch-2018-1-310.